The head of North Carolina’s Innovative School District (ISD) says his professional ties to two groups seeking state contracts to manage struggling schools should not be a conflict. Some public school advocates have suggested ISD Superintendent Eric Hall’s relationship with those organizations—AMIKids Inc. and Communities in Schools (CIS) of Robeson County—may hinder his objectivity in assessing applicants for the district. AMIKids Inc. and CIS of Robeson are two of eight entities so far that have signaled their intent to apply for those contracts, which would likely be awarded by the State Board of Education in early 2018. Hall, who worked for state and national affiliates of both organizations over the last 11 years, is expected to make recommendations to the state board in the coming months. But Hall—who was chosen by state leaders this year to run the controversial reform model—says he accepted the job as a practitioner with experience in working with at-risk youth. That’s why Hall says he expected to encounter organizations that he’d worked with in the past when accepting applicants. “The Innovative School District will select and match school operators for schools included in the new district through an extensive external evaluation process, which will include the professional recommendation of an independent third-party evaluation firm, their review of the operator’s application, review of the operator’s past performance, and community input. Operators who have submitted a notice of intent to apply must participate in a mandatory training before formally submitting an accepted application for consideration. As part of the evaluation process, operators will be required to consider the opinions, values and concerns of community members for schools selected for inclusion in the ISD. 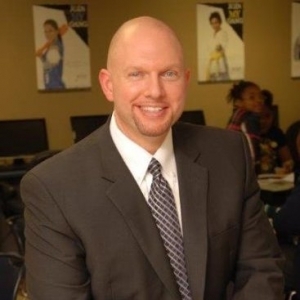 Hall was the president and CEO of dropout prevention nonprofit Communities in Schools of N.C., the state affiliate for CIS of Robeson, for four years before he was named ISD superintendent this year. Before that, Hall spent more than seven years as a national director for AMIKids, a national nonprofit that specializes in interventions with troubled youth. According to state documents, CIS of Robeson, which currently runs a Robeson charter that primarily serves youth from low-income families, would only seek to manage an ISD school if leaders choose to take over a school in Robeson County. Although school board leadership in Robeson has signaled some support for the takeover district, the proposal received an icy reception from locals during a presentation Thursday, according to The Robesonian.